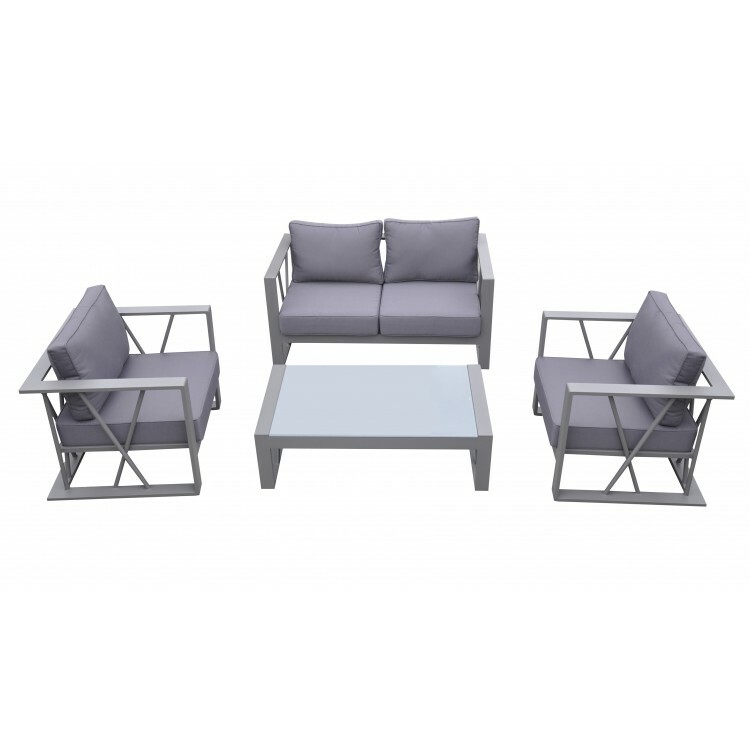 The Armen Living St. Barts 4 piece outdoor patio set is an ideal choice for any modern household patio. 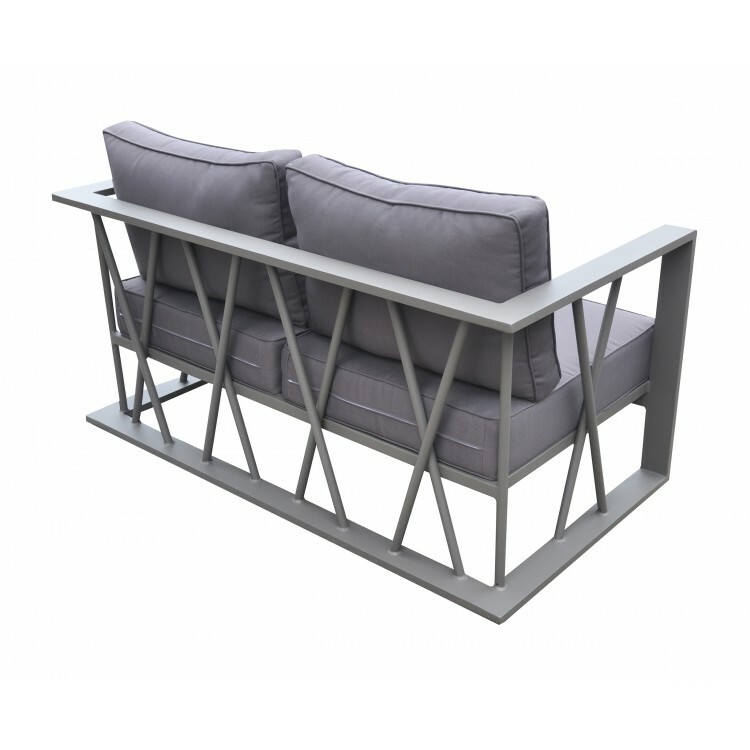 This sleek and stylish assemblage features two armchairs, a loveseat, and a coffee table. 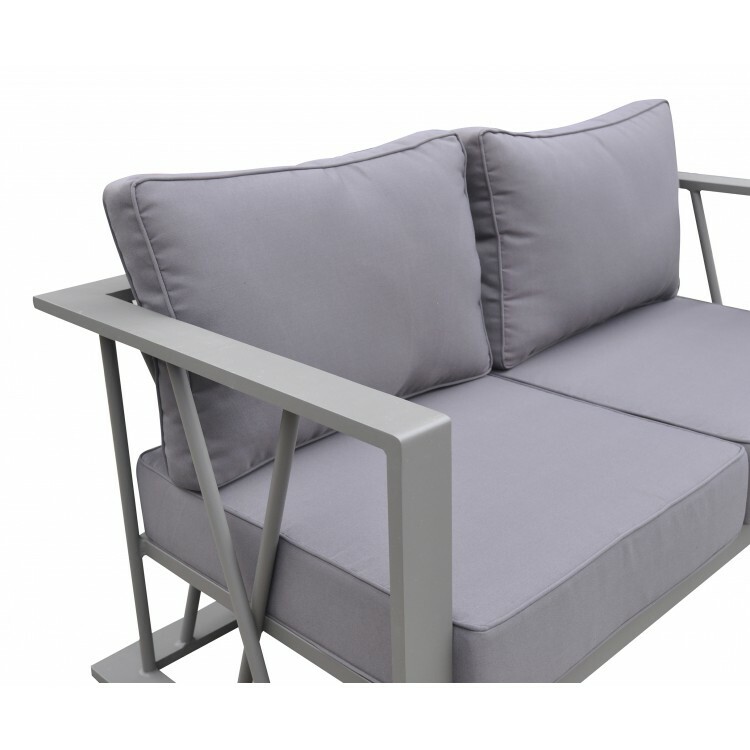 Elegantly designed and practical, the St. Barts pieces feature durable aluminum frames that are lightweight and dependable. 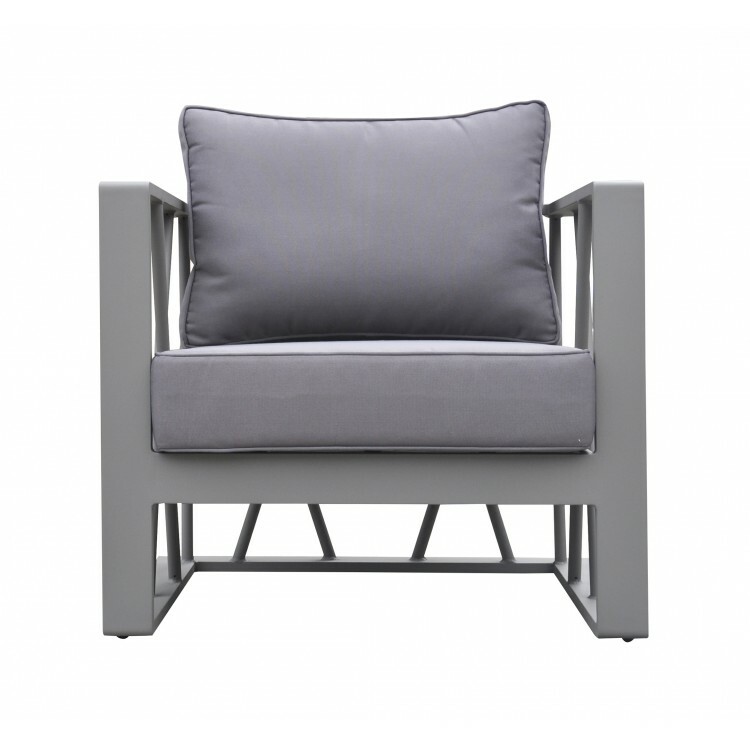 The novel design of St. Barts is matched only by the plush of the assemblage's plump, foam padded back and seat cushions. 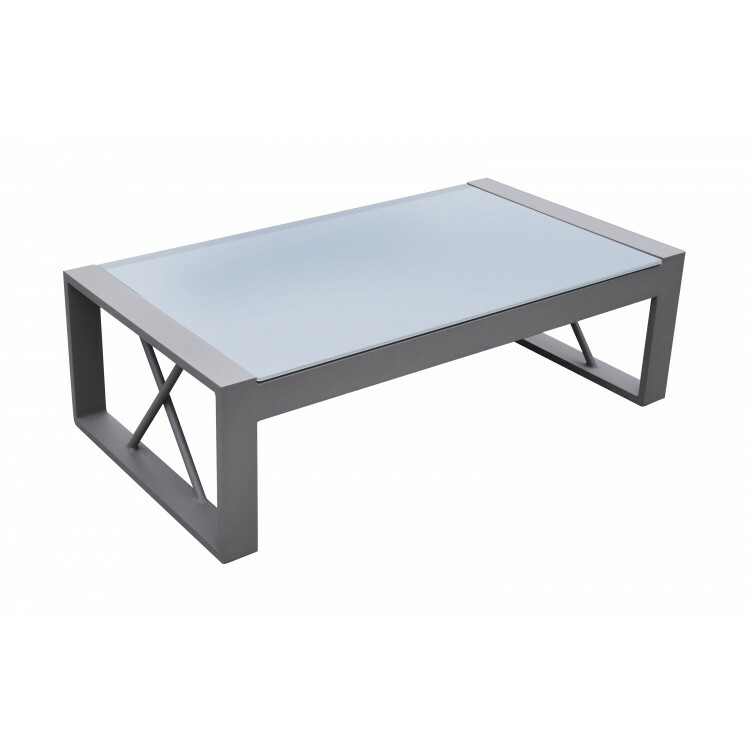 The white glass top of the St. Barts table further complements the elegance and beauty of the rest of the piece. 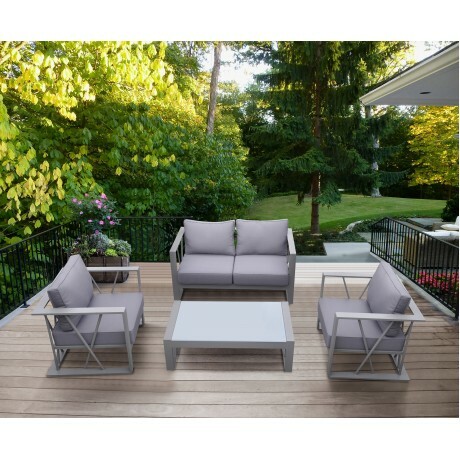 100% waterproof, the St. Barts set is certain to maintain its durability for many years to come. 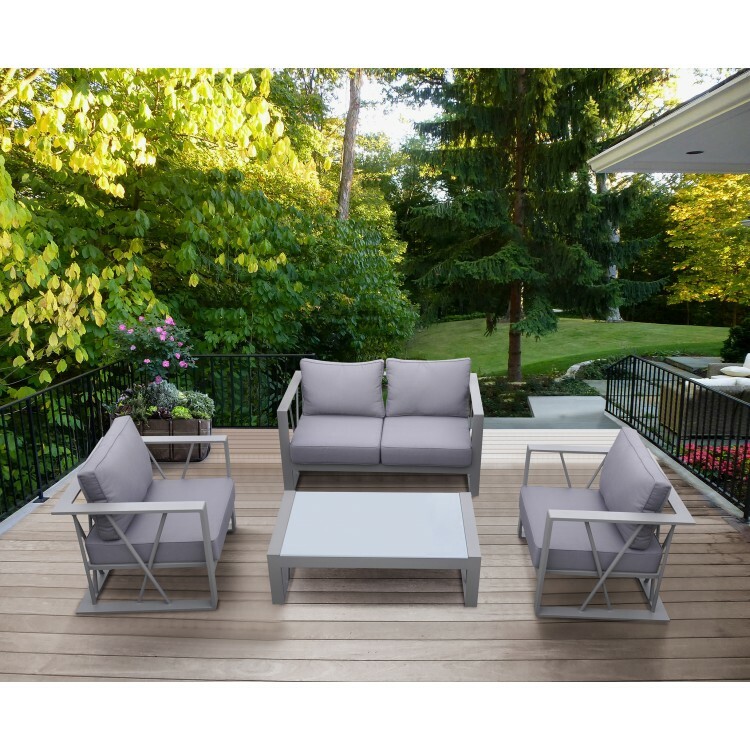 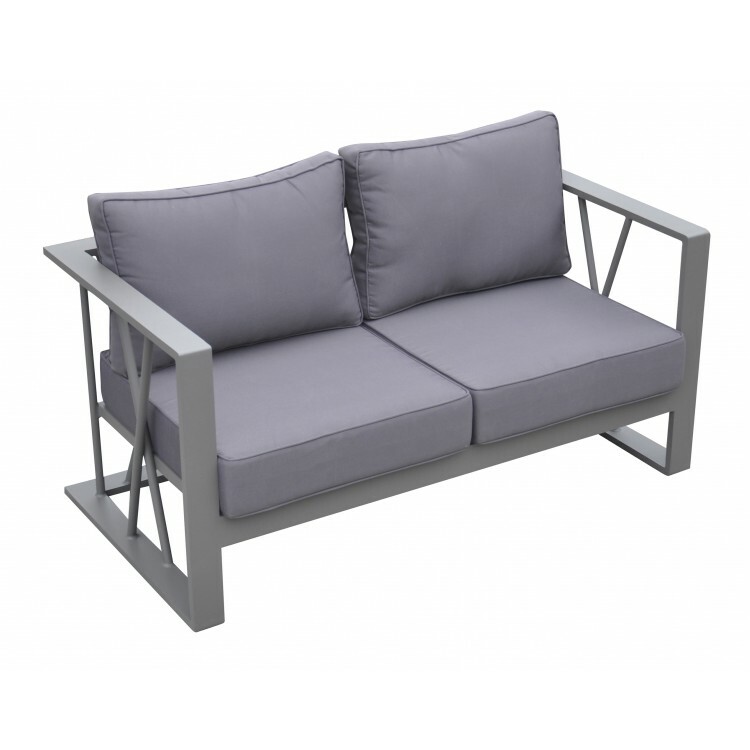 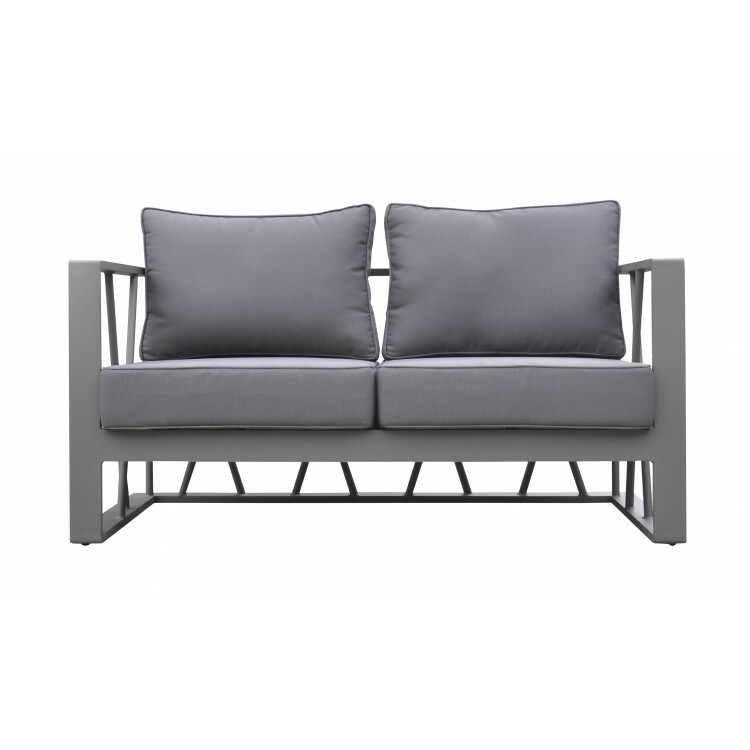 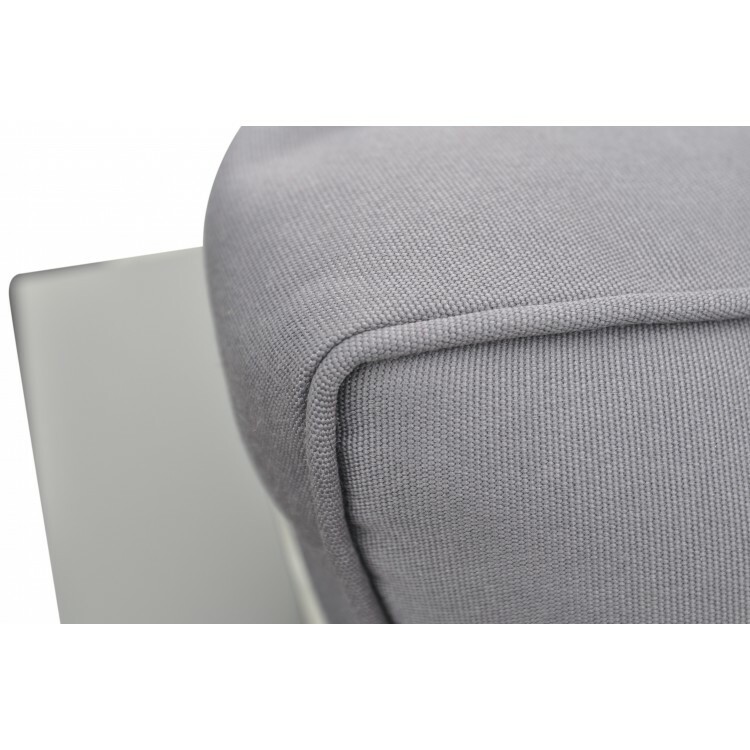 The St. Barts 4 piece set is available in a grey powder coated finish and comes with grey fabric cushions.